Sweet friends, if we are guaranteed anything in this lifetime it is this, seasons of change, joy, and struggle will all be upon us. Today, I'd like to be a sprig of encouragement, a source of light, and a breath of fresh air to those who may be going through a season of struggle. Whether you're a mother, a student, a wife, a grandma, (enter your role here), we can all use a gentle reminder at times. Today, I pray this post is that reminder for you. God is the Author of Your Life. This means the good and the tough. 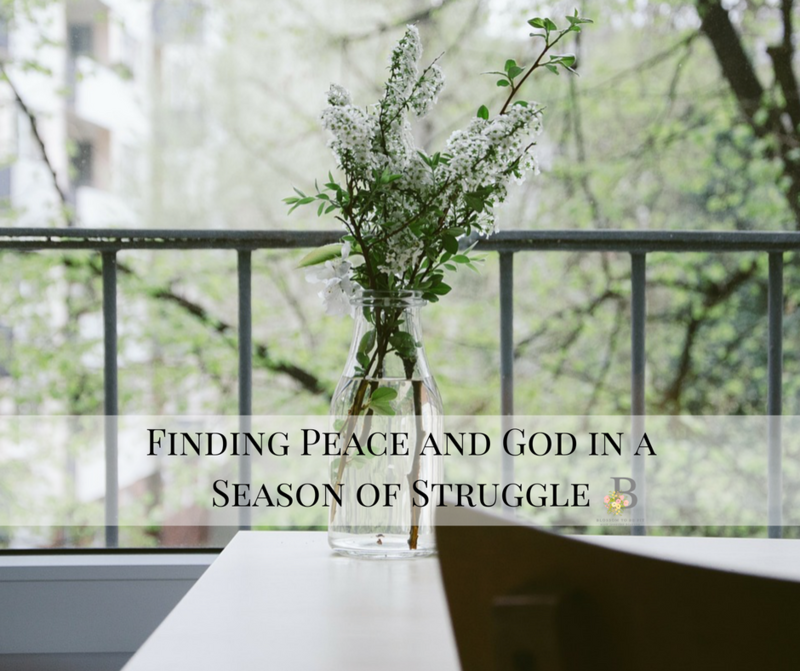 Although we can't always comprehend or understand the reasoning behind certain seasons, situations, or events in life, we MUST remain faithful to the One who is in control. I truly believe when we meet our Maker face to face, we will understand the fullness and richness in which He wrote our story. Respond: Accept the situation. Experience the feelings. Yes, allow yourself to feel upset, sad, disappointed. However, don't let these emotions RUN YOU. Feel them and decide to respond in a controlled manner. (More on this later). React: Freak Out. Let your emotions run wild. Demonstrate no sense of self-control. Don't Try to Figure It All Out. In a season of chaos or struggle, you can go through the entire way kicking and screaming, holding onto anger, resentment, bitterness, and more.... OR, you can learn to surrender. I believe when we greet situations with a calm heart, with a calm mind, and with a calm spirit, we open our hearts up for God to speak and move in our lives. If you are willing to Let Go and Let God take over, watch how He will begin to work in and through you. Have a Support System. When I am going through a difficult season in life, close friends and family make all the difference. Know your inner circle and allow them in. So often, I see so many women close up and close off the world. Sweet sisters, remember, you must open your heart to those around you. God has brought those relationships in your life for a reason and none of us are meant to go through life alone. A few things to think about.. If you need professional or legal help, get it. Do not wait. Seek Godly counsel from female leaders within your church. Don't have a church home? Don't be afraid to reach out and find one. Many churches have outreach programs and services for women just like you and I.
Confide with a small group of close friends or family. Let them help you. Bring everything in prayer to the One who hears. Ladies, understand that we are here and rooting for you. I know life can be sticky at times, but it's also amazingly wonderful and full of rich blessings EVERY SINGLE DAY. I'll be speaking more on this topic within the Blossoming Community and over on The Blossoming Mommy and Baby Show. Keep your faith strong and remember to never let any diagnosis, experience, or life event alter the woman who you are in Christ. These events do not DEFINE who you are in God's image.